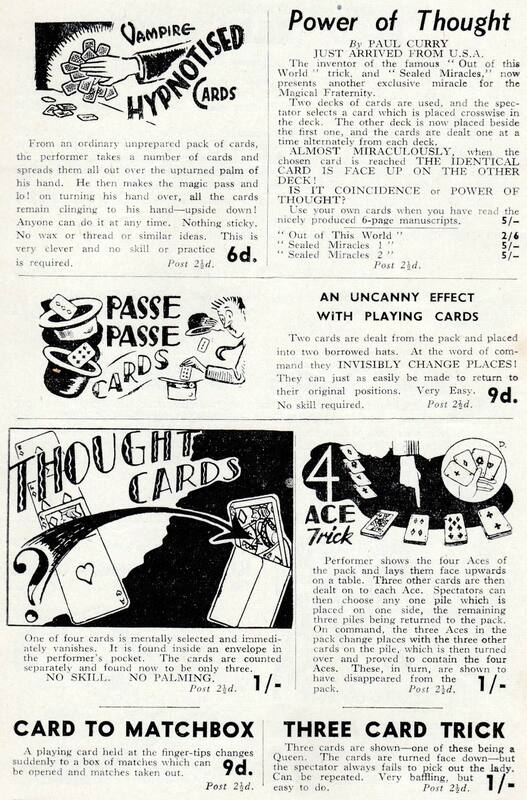 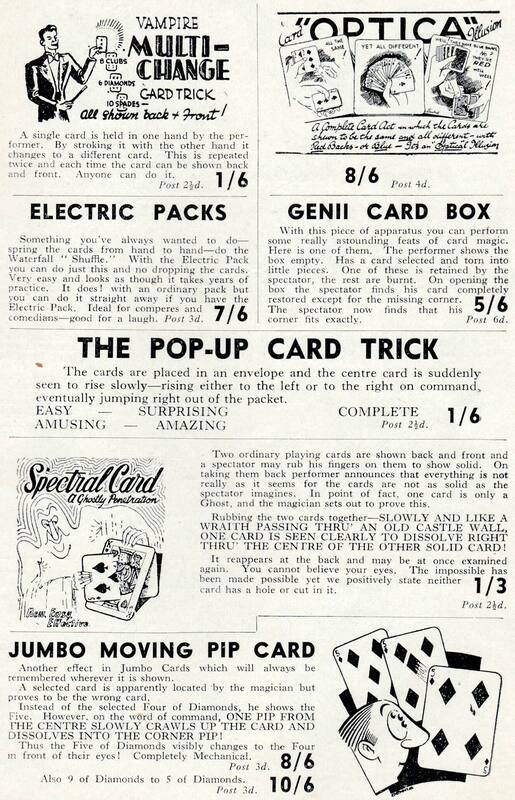 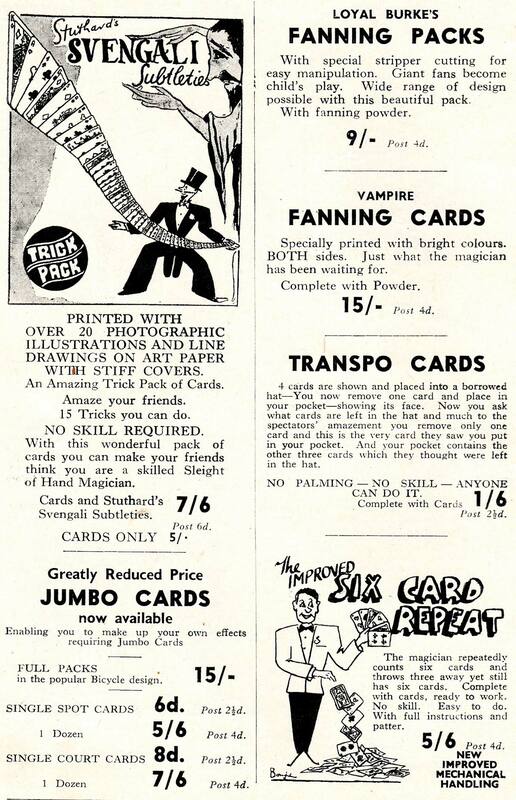 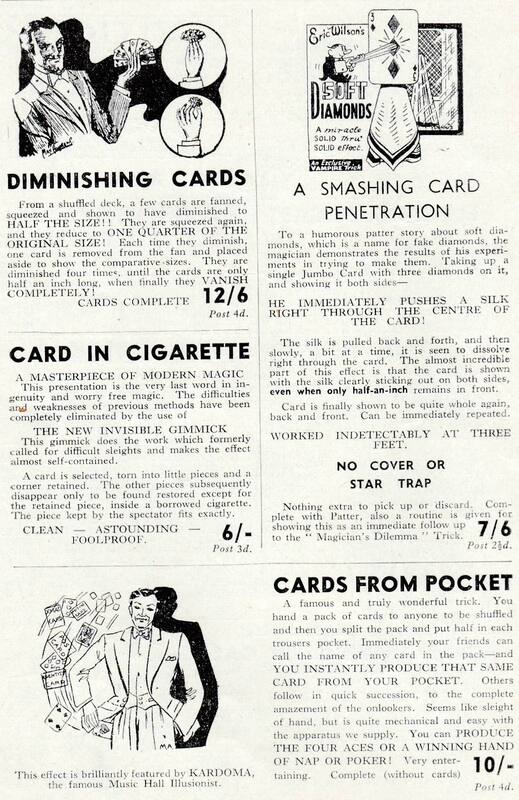 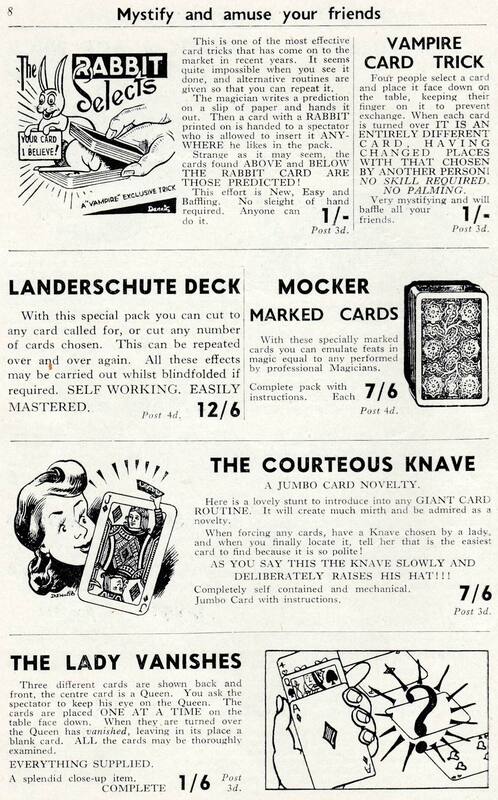 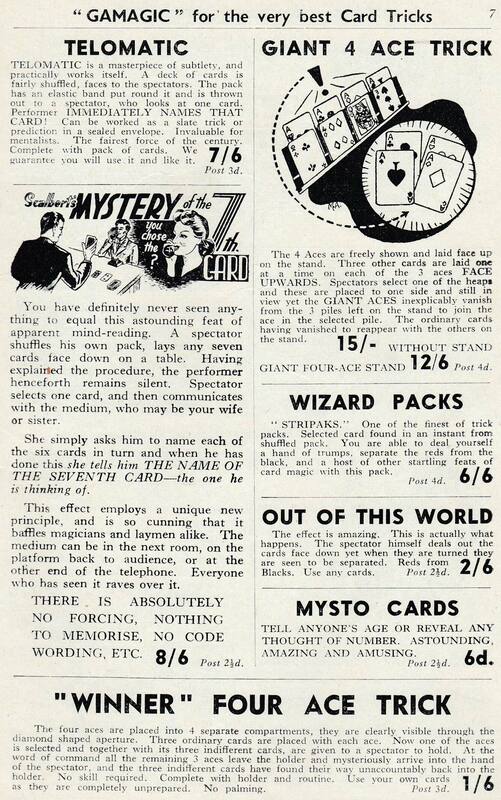 An amazing selection of card magic and conjuring tricks from “Gamagic Catalogue of Magic Card Tricks”, c.1940. 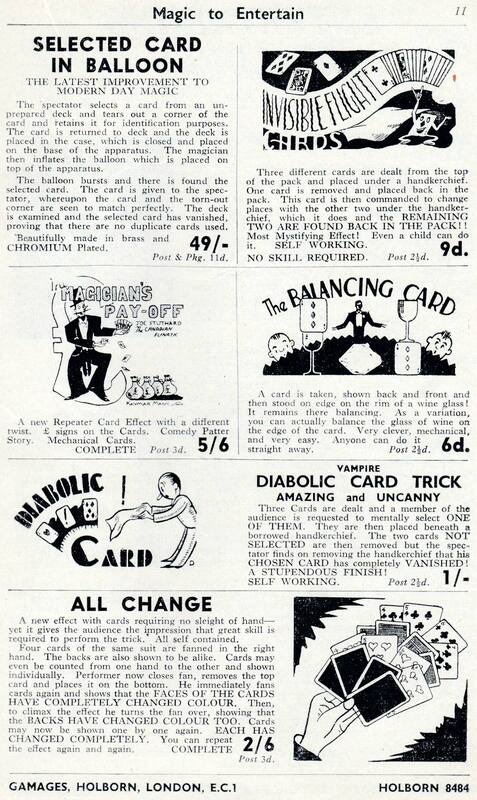 Everyone is familiar with playing cards, which makes them a ready medium for magical performance. 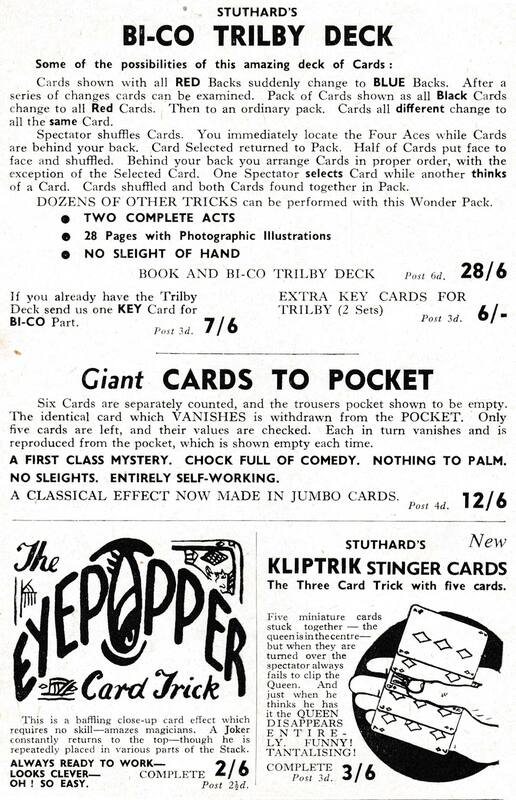 Sleight of hand and dexterity will give yopur performance a smoothness and rhythm which will greatly enhance your reputation. 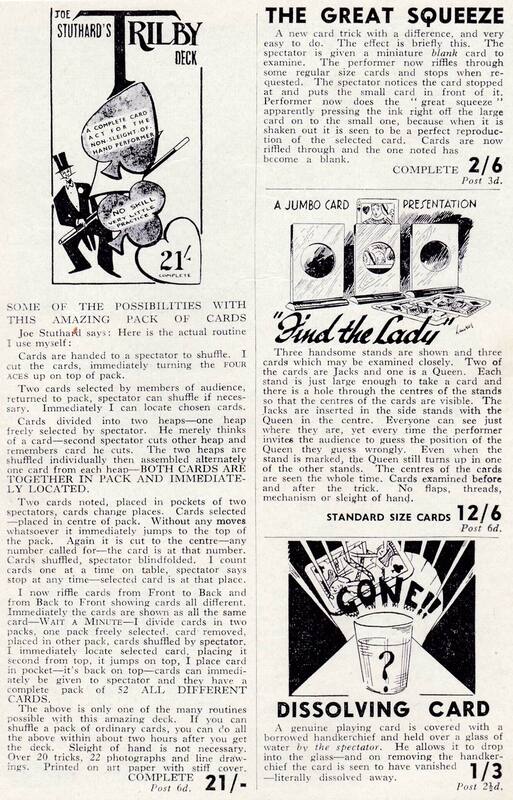 Above: Images courtesy Rex Pitts.